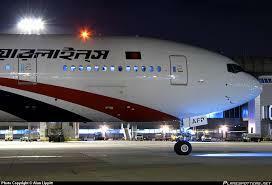 Biman Bangladesh Airlines, popularly known as Biman, is the national airline of Bangladesh. As a member of IATA, it flies passengers and cargo to 18 international destinations in Asia and Europe. Biman is reputed for its well-trained and dedicated crew and maintenance personnel with appreciable safety record. Biman came into being on January 04, 1972 and currently operates two 777-300ER, two 737-800, two A310-300, and two DC10-30 aircraft in its fleet. 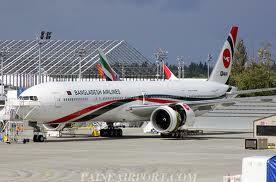 Biman performs the line and base maintenance work of all the aircraft in its fleet. It also does line and base maintenance certifications of similar aircraft for a number of local and international airlines. In addition to its own aircraft, Biman provides ground-handling support to a number of major airlines at Hazrat Shahjalal International Airport, Dhaka. Bangladesh Airlines Training Centre (BATC) began its journey as the Ground Training School in the Engineering Hangar at the old Airport in 1972 immediately after the War of Liberation and subsequently moved to Biman’s own building at Farm Gate. In 1984, Biman Management took advantage of an ICAO/UNDP offer to set up an apprentice training school at the current location of Hazrat Shahjalal International Airport. The UNDP/ICAO assistance to set up Apprentice Training School was utilized to build a proper and full-fledged training centre for the national carrier. BATC provides training in the faculty of Operations Technical, Avionics Engineering, Aerospace Engineering, Customer Services, Marketing & Sales and Management Development. Engineering Faculties have provided Basic Aircraft Maintenance Engineering courses since its inception. Maintenance Engineers of BATC work in different corners of the world, such as, USA, Canada, Middle-east, Australia and the East-Asian region. 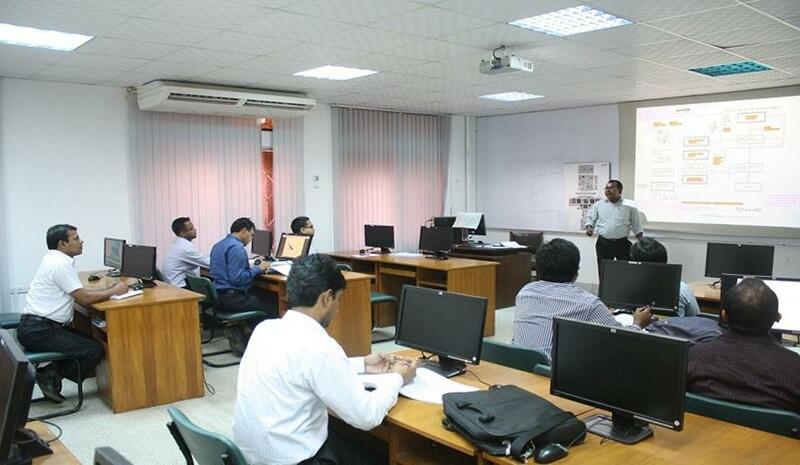 BATC also provides type maintenance courses (F-28, DC10-30, Airbus A310, Boeing 737 and Boeing 777) on airframe, Engine, Electrical, Instrument and Radio-Radar categories for developing Biman’s manpower for its growing fleet. Additionally, BATC conducts courses on Human Performance and Limitations, Air-Legislation, System Engineering, Quality & Audit, Engineering Planning etc. All of these basic & type maintenance courses and other courses are approved by the national Civil Aviation Authority. 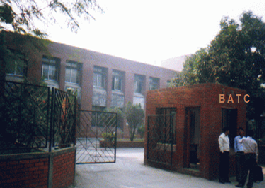 The Engineering wing of BATC achieved EASA Part-147 approval (approval number 147.0047) on 28th February, 2012 for conducting B1.1 and B2 courses and examinations. The centre has been turned into a seat of training and technical seminars for local travel agents and foreign airlines. BATC’s Training Manager, Partha Kumar Pandit, told the EAMTC that, “BATC has a very good prospect to grow as an EASA approved organization in its neighbouring countries. We are very pleased to become a member of the EAMTC to share the continual development in the field of Engineering Training”.